This work was first performed on November 4, 1890 in St. Petersburg. It is scored for optional mixed chorus, woodwinds in pairs, four horns, two trumpets, three trombones, tuba, timpani, percussion, harp and strings. “I am a Sunday composer who tries to remain obscure,” is the phrase Borodin used to describe himself to his musical acquaintances when he returned from Heidelberg to St. Petersburg in 1862. Borodin’s friends, however, insisted that he devote more time to music and when he began work on the First Symphony under Mily Balakirev’s guidance he was given garrulous encouragement from Cesar Cui, Modest Mussorgsky, and Nikolai Rimsky-Korsakov. The symphony was completed after five years of nagging and pleading. The symphony was completed after five years of nagging and pleading. 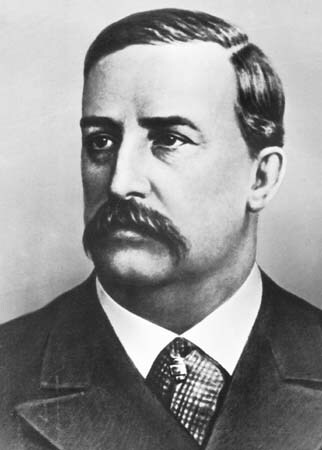 Borodin’s talent for music and his enthusiasm for Russian national music admitted him to the exclusive circle known as Mogushaya Kuchka, or “Mighty Handful” (sometimes called “The Russian Five”). He was a Doctor of Medicine and a lecturer in chemistry at the Academy of Medicine, engaged in research and in the writing of treatises in chemistry when the idea for Prince Igor was brought into discussion by the Five and dumped into Borodin’s lap. Twenty years later, after painstaking research into history, tribal customs and rituals of the Polovtsians in the twelfth century, Prince Igor was still uncompleted. The opera was finished eventually by Rimsky-Korsakov and Aleksandr Glazunov who filled in the orchestrated parts and developed the sketches left by the composer. Prince Igor has a prologue and four acts and is based on “Epic of the Army of Igor,” an early Russian poem now considered by Russian scholars to be a literary fraud. The action takes place in the twelfth century and centers around Prince Igor Severski’s campaign against the Polovtsians. Among the ramifications of the unnecessarily convoluted plot it is possible to deduce that Igor was defeated in this enterprise and that his conqueror, Khan Konchak, threw a fine party in lavish Oriental style for the defeated leaders. The famous Polovtsian Dances are performed during this scene. Borodin wrote that Prince Igor is essentially a national opera, “interesting only to us Russians who love to steep our patriotism in the sources of our history and to see the origins of our nationality again on the stage.” Although history shows that he was likely correct—the opera is performed very rarely—its music is known to concertgoers in the Polovtsian Dances and the brilliant overture. Borodin’s overture consists of music from throughout the opera. It opens with a slow introduction drawn from one of Igor’s arias and quickly launches headlong in passage of brass fanfares. The fast section is mostly drawn from the Polovtsian scene, which includes a sensuous clarinet solo. Of particular interest is a burnished horn solo near the brilliant flourish that ends the work. This work was premiered on December 4, 1881, by the Vienna Philharmonic Orchestra under the baton of Hans Richter and with Adolf Brodsky as soloist. It is scored for solo violin, two flutes, two oboes, two clarinets, two bassoons, four horns, two trumpets, timpani, and strings. With the degree of fame that came so quickly to Piotr Ilyich Tchaikovsky in the 1870s, microscopic examination of his personal life was inevitable from the nineteenth century equivalent of today’s paparazzi. Quite often with characters possessing such genius, there lurks a very private and hidden side that seems shocking when revealed. In 1877 Tchaikovsky married a former student from one of his large lecture courses. The young musician, Antonina Ivanovna Milyukova, had become obsessed with the composer while taking his class and proceeded to write several letters professing her love. Against better judgment, Tchaikovsky proposed and she readily accepted. Unknown to Antonina and everyone else outside the composer’s closest inner circle, he was secretly homosexual. He was not attracted to the young woman, but was terrified of professional rejection and saw her pursuit of him as a possible way to remain closeted. The disastrous marriage lasted all of nine weeks. To escape the unrelenting torment after their separation and his subsequent suicide attempt, Tchaikovsky traveled to the beautiful region near Clarens on Lake Geneva in Switzerland in 1878. Among the friends who visited the composer in Switzerland was the violinist Josef Kotek. During this time, Tchaikovsky had entertained the idea of composing a violin concerto, but nothing more than a few sketches ever made it to the page. For whatever reason, be it the divorce or Kotek’s presence in the idyllic surroundings of Lake Geneva, a sudden creative spurt seized the composer, and the entire work – from sketch to final orchestration – was complete within a month of concentrated creativity. Although the dedicatee of the piece was to have been Josef Kotek, Tchaikovsky feared the possibility of romantic gossip and decided instead to bestow the honor upon Hungarian violinist Leopold Auer. This magnificent and timeless work begins with a short introduction, after which the soloist plays a slow cadenza leading to the first theme in the solo part. Interestingly, both of the main themes in the first movement are lyrical – reminiscent of the usual character of second themes from more ordinary sonata-form movements. With little diversity in thematic materials, Tchaikovsky turns to his mastery of development techniques and expertise in composing electrifying solo lines. With these skills, he keeps his audience captivated and eager for new surprises around every corner. Among the dazzling fireworks in Tchaikovsky’s arsenal are multiple stops, tremolos, rapid arpeggios, and leaps from one end of the violin’s range to the other. Marked andante, the Canzonetta second movement displays the rich expressive qualities of the violin’s lower range. A sunny central trio presents a different facet of this exquisite movement. 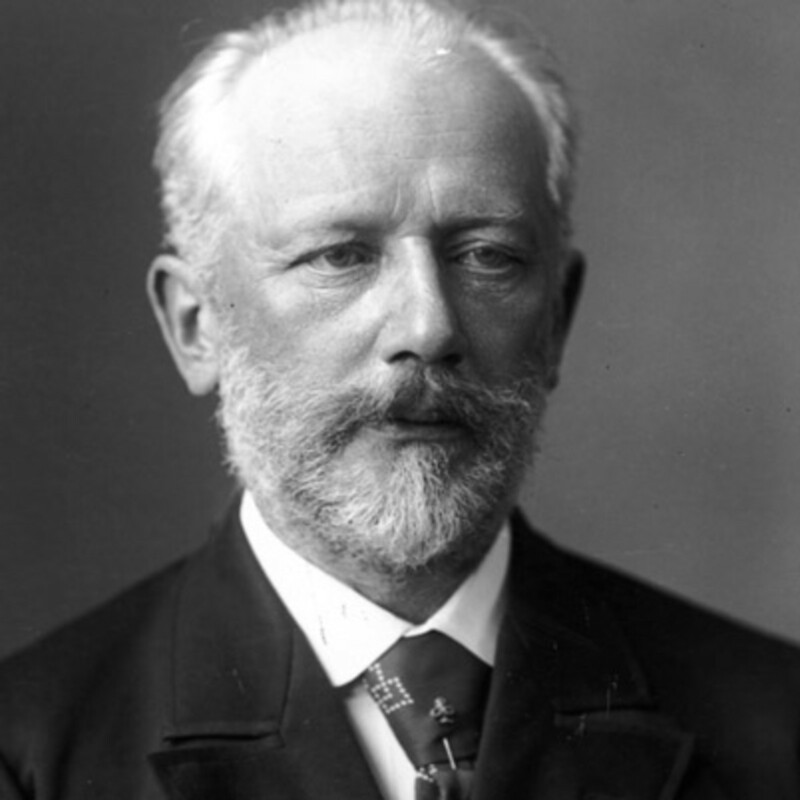 Tchaikovsky originally included a different second movement, now known as the Méditation for violin and piano, but substituted the present music before the work’s premiere. Fiery and Russian in character, the rondo finale is a brisk romp through the violin’s facility as a solo instrument. More than one observer has noted the resemblance of the theme to that of the finale from Mendelssohn’s concerto. Despite these comparable melodies, Tchaikovsky’s Violin Concerto remains one of the most admired barnburners in the repertoire. The motion picture from which this cantata was drawn was released in Russia on November 25, 1938. The completed cantata was premiered on May 17, 1939, by the Moscow Symphony Orchestra with the composer conducting. It is scored for solo mezzo-soprano, piccolo, two flutes, two oboes, English horn, two clarinets, bass clarinet, tenor saxophone, two bassoons, contrabassoon, four horns, three trumpets, three trombones, tuba, timpani, percussion, harp, strings, and mixed chorus. After Sergei Prokofiev’s great success in 1936 with his ballet version of Romeo and Juliet, it was abundantly clear to any listener that the composer was a master of dramatic pacing. It was this ability to underscore with an unmistakable emotional directness that led to his two masterful collaborations with the filmmaker Sergei Eisenstein – Alexander Nevsky and Ivan the Terrible. Like Prokofiev, Eisenstein was known as a young lion – an innovator who revolutionized his industry. Perhaps his most important contribution is the invention of the film montage in which many different shots occur at a rapid pace. Alfred Hitchcock would later use this technique to create the terrifying shower scene in Psycho. Like Prokofiev, Eisenstein became an expatriate in the earliest days of the Soviet Union; Prokofiev left in 1918, Eisenstein in 1925. Both settled in the West, but eventually returned home in the mid-1930s. Eisenstein’s time away was fraught with the disappointment of one failed project after another. In Stalin’s eyes, these failures were the result of Western film companies exerting their influence upon the creativity of a great Soviet artist. However, the director knew that Stalin’s Great Purge of so-called Party infiltrators had already led to the extermination of many artists. A decisive success could be a matter of life or death. Eisenstein recognized the growing tensions between Germany and the Soviet Union. The 1938 annexation of the Sudetenland, effectively giving Czechoslovakia to the Nazis, was seen by the Soviets as a threat to their westernmost territories. Eisenstein knew that he could curry favor with Stalin by making a motion picture that stirred patriotic sentiment within the Soviet public. Therefore, in 1938 Eisenstein decided to film the story of the venerated Russian warrior Alexander Nevsky’s victory over the Swedish and Teutonic armies near Novgorod seven centuries earlier in the 1240s. Sergei Prokofiev was the logical choice to provide the music. His ballets and operas had established him as a leading composer for the stage. Eisenstein allowed Prokofiev complete access to the filmmaking process. Often present on the set, Prokofiev would view the daily footage and carefully time each scene. Before the next day’s shooting began, Prokofiev would have a piano score to accompany the previous day’s work. Often Eisenstein would allow Prokofiev to compose the music before a scene was filmed. This was the case with the “Battle on the Ice” scene, which was filmed to match the music. Alexander Nevsky opened in Soviet theatres in November of 1938. Hailed immediately as a masterpiece, it was pulled from theatres just two months later because of the Soviet-German pact of 1939, which temporarily ended hostilities between the two countries. 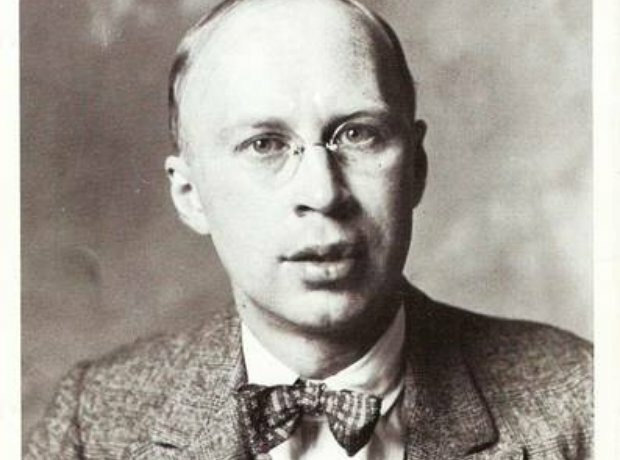 Prokofiev decided to adapt his music into a cantata for concert performance to ensure that it received maximum exposure. It is in this version that most audiences hear Alexander Nevsky. The first movement, “Russia Beneath the Yoke of the Mongols,” opens with a depiction of the desolate plains of Mongolia and the oppression of the native Russians. A poignant oboe solo accentuates the suffering.